Additional funding instructions, forms, and details can be found here. Contact Dr. Roger Hilten for any funding- related questions and concerns. Submit via email to lauren.anglin@uga.edu , slides must be formatted to reflect approved template. 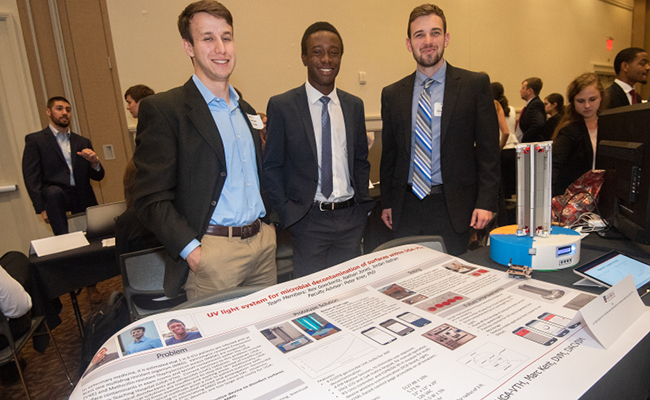 Although the College of Engineering strives to match students to projects they are most interested in, there is no guarantee that a student can be assigned to a particular project or project group. Current Capstone Senior Design students must rank their project preferences by completing the online 2018-2019 Senior Design Project survey. Surveys must be submitted by Wednesday, August 22 by 11:59 p.m.